A casual and relaxing way to extend yourBiltmore experience, Antler Hill Village® & Winery connects the estate’s past and present with dining, shopping, exhibits, award-winning wine, and more. The nation’s most-visited winery, Biltmore Winery offers complimentary tastings, an indoor/outdoor wine bar, and specialty wine experience tours and tastings. Access to Antler Hill Village & Winery and a complimentary wine tasting at the Winery are included in your Biltmore daytime admission. After a fun-filled day on the estate, adults and youngsters alike can relax on our Village Green. 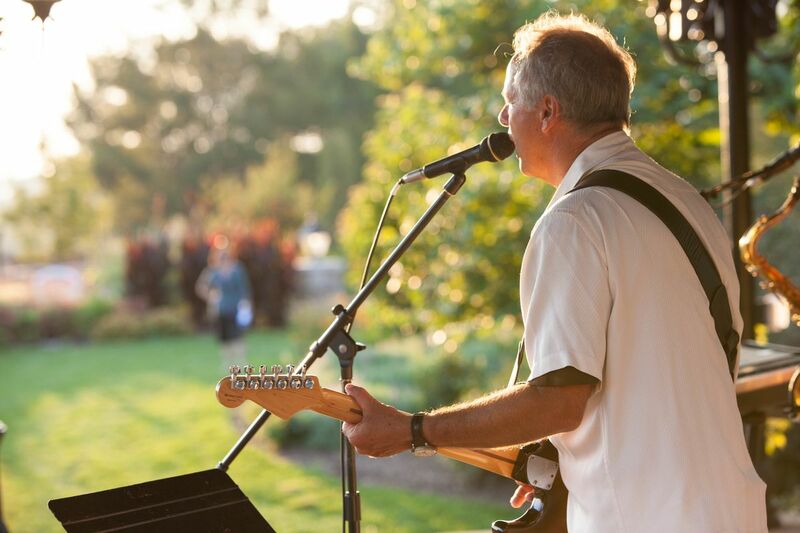 Live seasonal music from the Bandstand (including our popular Live After Five series) and ice cream from the nearby Creamery provide the perfect excuse to lie back in the grass and take in the scenery. On Sunday mornings, our overnight stay guests enjoy complimentary yoga here; at Christmastime, the Village Green hosts Santa visits and strolling carolers. 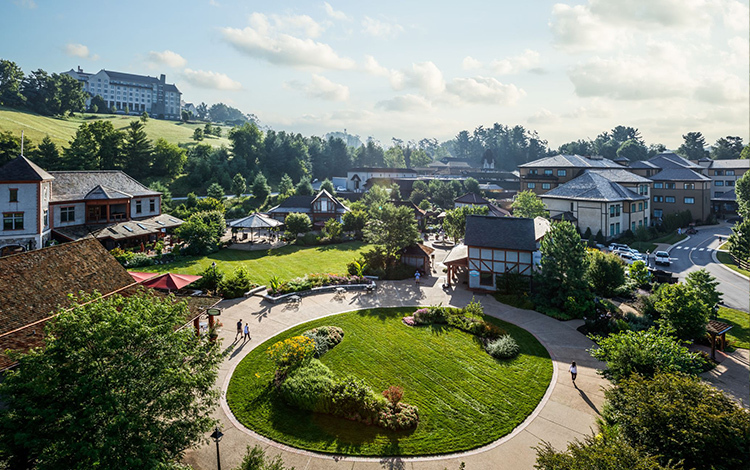 A convenient home base from which to experience 8,000 acres of Blue Ridge mountain beauty, Village Hotel is located in the heart of Antler Hill Village. Restaurants, the Winery, shops, outdoor activities, and The Biltmore Legacy are all but a short stroll from your room. Three of the estate’s seven restaurants reside in Antler Hill Village: Village Social, Cedric’s® Tavern, and Bistro. Each venue offers seasonal menus crafted from the finest estate-raised and regionally sourced ingredients—exceptional cuisine served in three distinctive settings. From fine wine and casual fashions to home accent products and arts and crafts items, the shops in Antler Hill Village have something for everyone. Find unique gifts and mementos of your Biltmore visit at our Wine Shop, Antler Hill Outfitters, Traditions, and The Barn Door. With breathtaking views, meticulously preserved forests, and a wide selection of activities, Biltmore is an outdoor enthusiast’s paradise. Stop by our Outdoor Adventure Center to learn about the many ways you can explore and enjoy the estate’s forests, fields, and waterways.